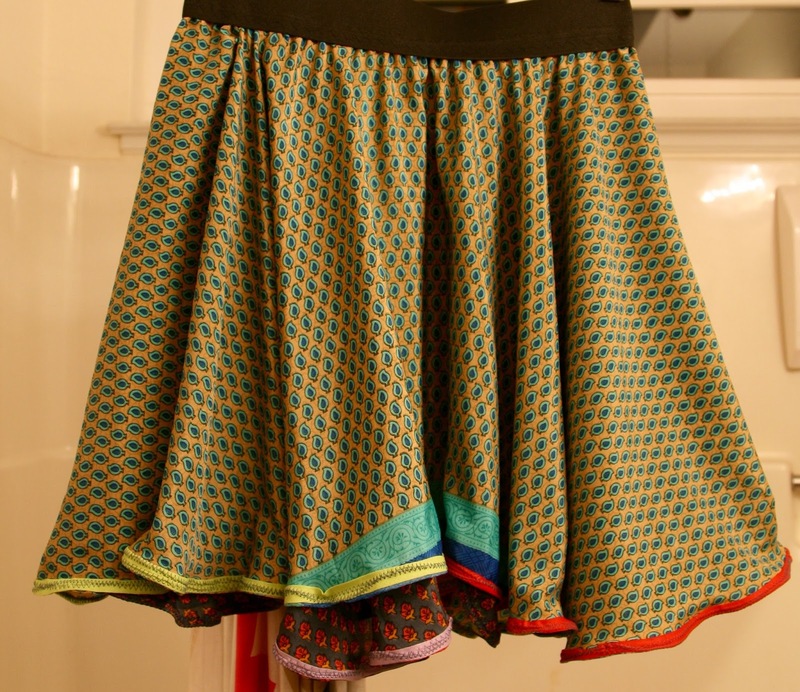 Playing around with circle skirts I discovered that with the incredible drape that a Sari has it makes a perfect skirt. The hem on these lovely fun skirts are over 6 yards so it takes me an hour to apply the finish to the hem. This is my favorite as I love the colors and mix of the patterns. This was added to my collection for my final Holiday Gift Show last weekend – how good it feels to be able to relax now! Get swinging in this Sari – which sold to a friend for their grand daughter as a gift! 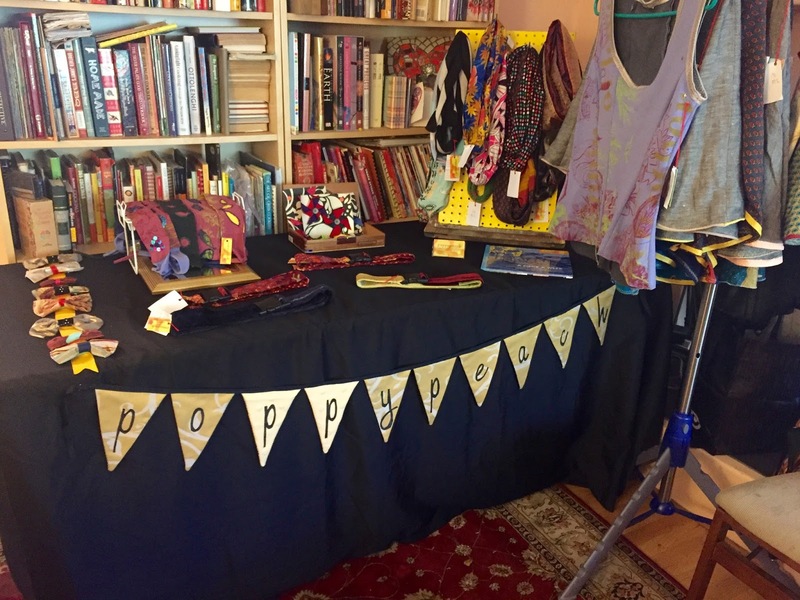 At my friends house we had a holiday and gift boutique which was fun meeting some new people in a pocket of Los Altos I am familiar with my acupuncturist and grocery store there. Ideally I think with shows at home, publicity is key and maybe shoot for earlier in the season when shopping is on peoples minds. I think last weekend was just for last minute gifts with a lower price tag. Still it is always a learning experience with each show that I do. Last week was also the final class for the Fall session of our Arts Focus classes at school! 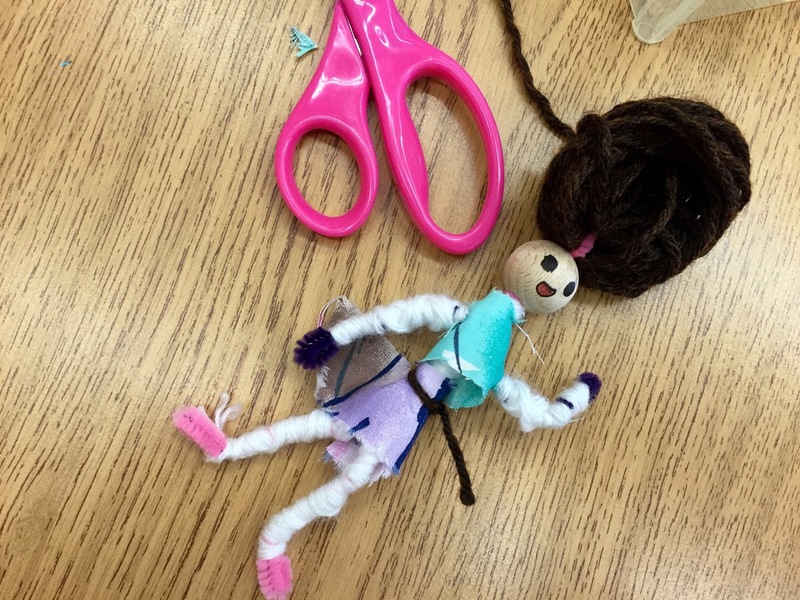 It was so good to see the kids really enjoy making the pipe cleaner dolls – so much imagination in making them. 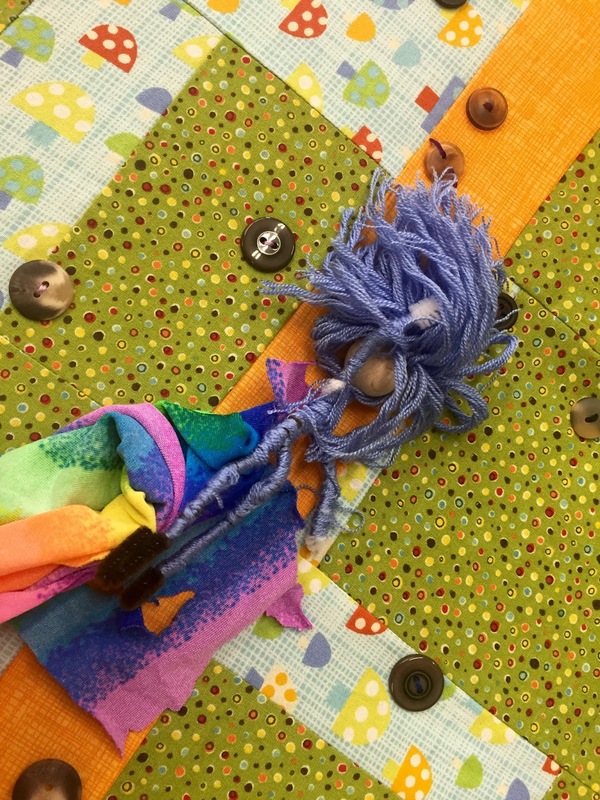 The first pic is of the group quilt project that the children made the squares for and they were quilting buttons on it to complete the quilt before binding. What an amazing achievement for the whole class to work on two quilts. Next up in January is the Art Show at City Hall and that is always exciting to see each art class present their works. Oh and how can I forget on Thursday night last week the kids had project night and they each presented to me their projects that they have been working on in class. My son working on this amazing Family Trip Project and virtually booked all the flights, accommodation and activities using his math skills for us to go to Lanai, Hawaii (I don’t know how we can access the place 98% of it is owned by some rich guy). He also presented a 3D printed project which was a holder for his ear buds for his computer – they got to use engineering and design skills, how lucky is this 10 year old – working on real world projects!! 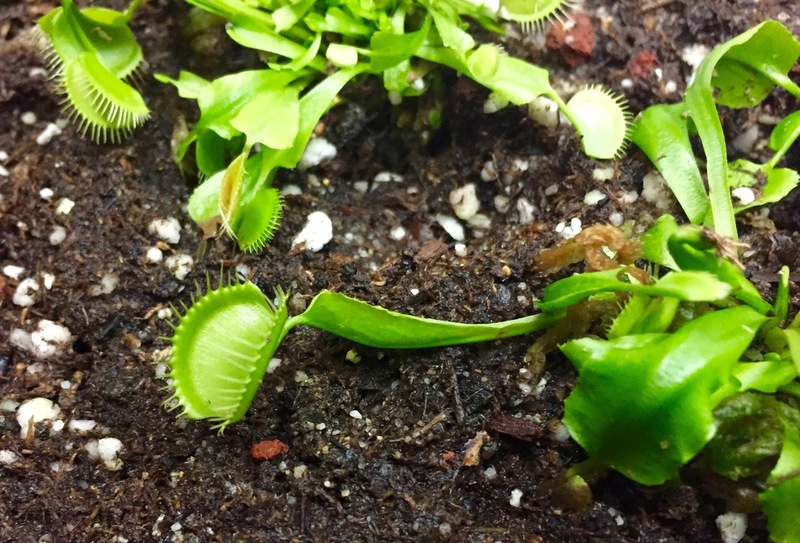 My daughter designed a habitat for a venus fly trap – check one of them out here, looking very healthy indeed. The project was fascinating learning about what the fly trap needs to survive. I had to try and catch a fruit fly with tweezers to feed this guy on project night – maybe I will have to employ my Karate and chopsticks next time to be successful (watch The Karate Kid). I was so happy on Sunday I went for a bike ride but by the time I reached half way and turned around I saw this huge grey cloud I rode straight into and got drenched by the rain, it felt so good! !